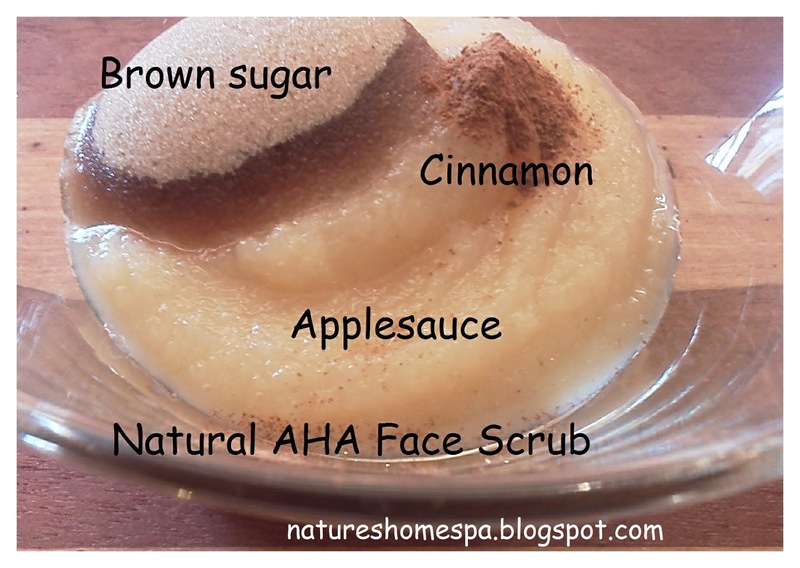 Natures Home Spa: Apple and Sugar Face and Body Scrub Recipe AHA rich. Apple and Sugar Face and Body Scrub Recipe AHA rich. Now heres a recipe that is simple, affordable and absolutely fabulous. I kid you not. The apples in this face scrub are high in potassium, vitamins A and C and malic acid which is a naturally exfoliating enzyme. Malic acid (an AHA goodie for our skin) helps the skin look healthier, younger and firmer as it evens skin tone and tightens pores. Cleansed of dead skin cells, soothed and smoothed your skin will glow with health. Brown sugar or white sugar? 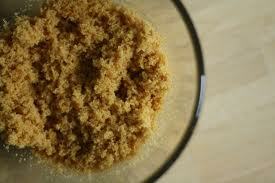 Brown sugar for your face scrub as it is gentler , White sugar for body. Sugar is full of glycolic acid which is an AHA (alpha hydroxy acid) and helps maintain healthy skin. It cleanses really well and can reduce any body acne you may have and prevent further breakouts, as well as naturally moisturizing. 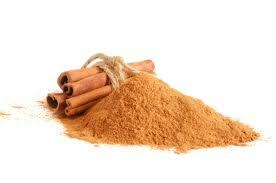 Cinnamon has antimicrobial benefits. Just use a pinch. Recipe courtesy of the Ritz Carlton's Bachelor Gulch Spa, via Webmd.com feature. Easy and lovely. How To Apply a Sugar Scrub to face: Splash face with warm water, spoon out desired amount of freshly made apple/brown sugar scrub into your palm. Apply to face with fingers and massage in a circular motion for a few minutes. Not alot of pressure is needed, keep it gentle. ( Keep out of eye area. ) Allow to stay on face for a few minutes after the massage, if you can, as this allows more penetration of the natural goodness! Rinse with cool water. Sugar Scrub for Body: In the shower or tub, start with warm water on skin, apply white sugar scrub in circular motions, rinse well. 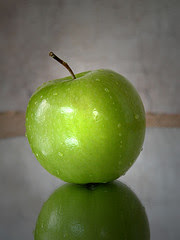 Click here for more info about AHA's, and for my Apple facial recipe which is different than a scrub. to try them out, they sure get high reviews around here! Anna your recipe sounds wonderful and I can't wait to try it out! Hi Anna, I've been playing on my blog and added a few of my homemade photos and links. They were pretty big so I put some at the bottom of the page too. 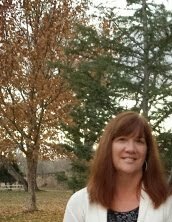 It's a new year & been fun to freshen up my blog just a little. Thank you for your e mail address, I'd love to chat with you back and forth about different recipes and where'd you learn that kinda thing! Wow Anna because you've set a great recipe again. That sounds wonderful. You're so busy. Hi Doreen, thanks for stopping by again! Hope your holidays were great! Yes, this recipe for a face scrub is really nice, makes your face SO soft! Thank you for stopping in at Cranberry Morning! And it looks like we have a fellow (um, sister) soaper here! Isn't it a blast! One of my projects with my granddaughters over Christmas was to make sugar scrubs. They were awesome! So nice to have found you. Thanks! 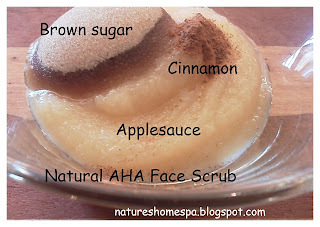 I have never tried the apple and sugar facial scrub! Thanks for linking up with the Clever Chicks! Ayu...wow,thanks for stopping by my blog, I absolutely love your blog, ayukocarlton.blogspot.com. 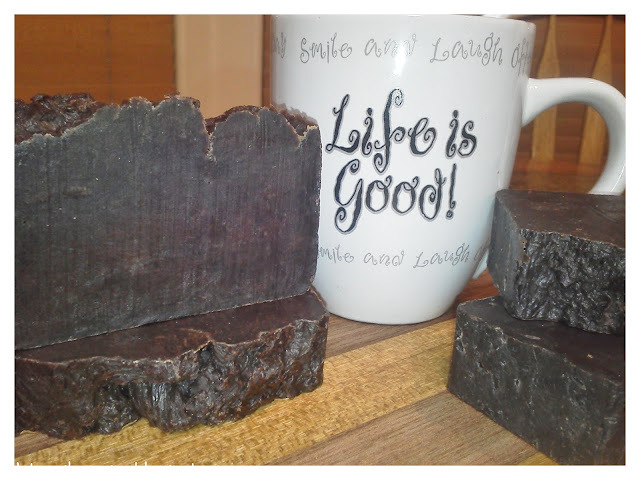 Its so full of great soaps and natural recipes, and the photography is truly beautiful. Thanks Kathy, yes, we think the apple face scrub is really good, my teenage daughter especially likes it. Love your Clever Chicks link-up too! 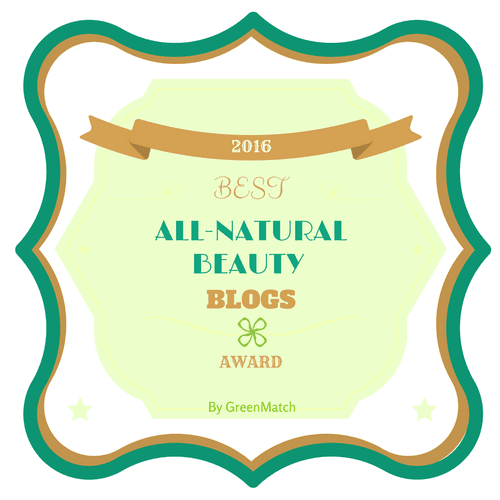 So much fun on your blog! 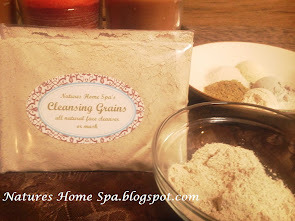 Hi Judy, (cranberry morning) thank you for taking time to comment about my apple face scrub recipe! Yes, it is a fun one! 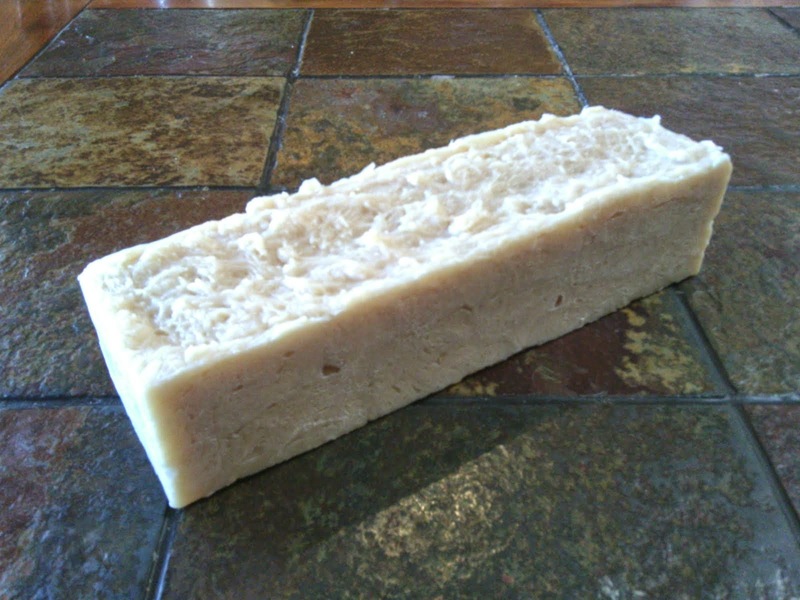 I enjoy your website homemadesoapnsuch.com so much, I like to check back just to see all the soaps you come up with, such cool recipes. The cranberry tea soap sounds especially awesome to me! Hi, this recipe sounds great! Still, I am worried about the shelf life due to the applesauce. Will it mold pretty quickly? If so, is there anyway to prevent that from happening? Thanks again!! Hi Gloria, honestly, I only make a single serving batch for myself, or a small batch that I know will get used between my girls and I in a few days. Kept in the frig, this will keep a few days just fine, though the sugar will melt some. It is always best to make fresh natural products such as this in small usable batches. You feel so pampered with such a fresh gorgeous treatment, trust me! Thank you so much for the fast reply! This is what I was assuming. I'm making it as a gift for my boyfriend (he's such a girl! ), and I don't want him to put it in his shower and forget about it if it can go bad pretty quickly. Ill make sure to let him know! Can't wait to try it myself, and thanks again! Gloria; Your welcome! I try out all these recipes on my teenage son and daughters and even hubby, so your boyfriend is in good company! How fun is that! Check back because I am working on an awesome new recipe for sugar scrub that will last longer!